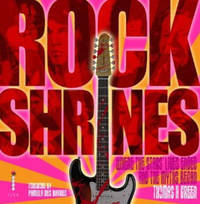 A unique celebration of one of the most enduring and thought-provoking elements of rock stardom and fandom, "Rock Shrines" is the first book ever to take as its theme the memorials and shrines left in tribute to the stars who died too soon. Some of the locations are well known, and attract thousands of visitors annually Graceland, or Jim Morrisons grave in Paris. Others are off the beaten track, obscure, but lovingly maintained by a devoted coterie of fans and admirers. This book celebrates them all. The entries glory in a variety of images from classic shots of the stars on stage, to neverbefore published images of the shrines as they are today, and the stories of the lives and deaths of the stars are also told in fascinating detail. The reader is also encouraged to seek out other locations connected with the star and to pay their own tributes. 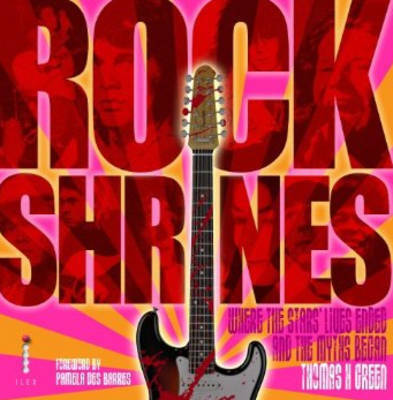 Finally, the book also contains a wealth of souvenir memorabilia in the form of facsimile documents and curios ranging from Elvis Presley's autopsy report to the handwritten lyrics of "Give Peace a Chance" and a heartfelt telegram from Janis Joplin to a lover.